base from NFS Shift, with some parts from Juiced 2 and Forza Horizon 3. NOT COMPATIBLE WITH MODLOADER. Update your Vinyl resolutions to 1024X for all cars you made plz. I've figured it out the problem I was having,it was the widescreenfix gamepad support fault.I'm not using the most recent one (mine is from 08 February),so idk if it will have the same problem but ,disabling it or just replacing the icons you're using,on my case the xboxglobal.bun icons with the globalb.izc file renaming it to xboxglobal.bun also solve the problem (and hence keeps the functionality).Good mod btw. actually i have the same problem as rotarymaster, i have a carrera gt instead of the s14. 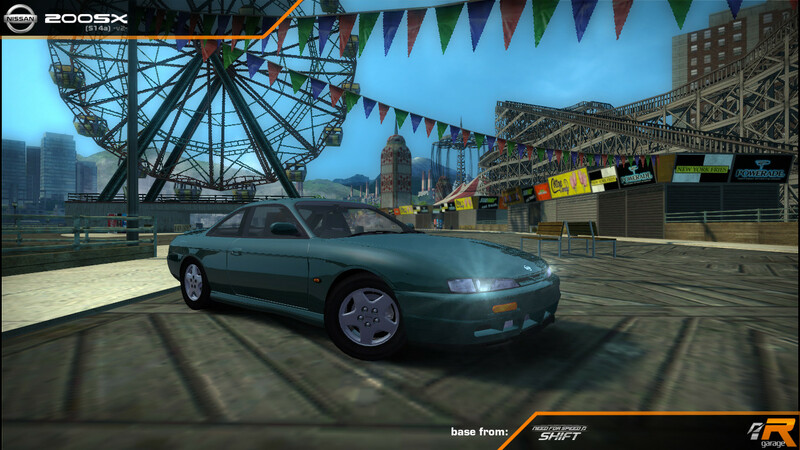 I have followed all the steps, i insert the car files in cars folder, then i patched with nfsmw - tc and then i have installed the .nfsms file with vlt.